Just as avoiding climate catastrophe isn’t the only reason to phase out fossil fuels, it’s not the only reason to curtail meat consumption. Phasing out fossil fuels will reduce habitat destruction and land, air and water pollution — and leave us reserves for fuels that remain necessary and for other petrochemical products. Reducing meat consumption has similar environmental benefits regarding air, land and water protection, and it’s good for individual health, not to mention the pocketbook! Health Canada has also picked up on the healthier eating trend. Its new food guide eliminates food groups from guides going back to 1942 and recommends following more plant-based diets with fewer animal products and processed foods, and making water the preferred drink. The food guide is a good resource that contains tips for following a healthier diet — even recipes. As for environmental impacts, the Lancet report found switching to more plant-based diets and improvements in food production practices would help reduce negative impacts related to climate change, land-system change, freshwater use, nitrogen and phosphorous cycling and biodiversity loss. The researchers found moving to sustainable food production could shift land use from “being a net source of carbon to becoming a net sink of carbon.” However, reducing significant emissions of greenhouse gases such as methane and nitrous oxide from agriculture, especially meat production, while necessary, is challenging. Some will argue that nothing less than a strict vegetarian or vegan diet will save humanity. 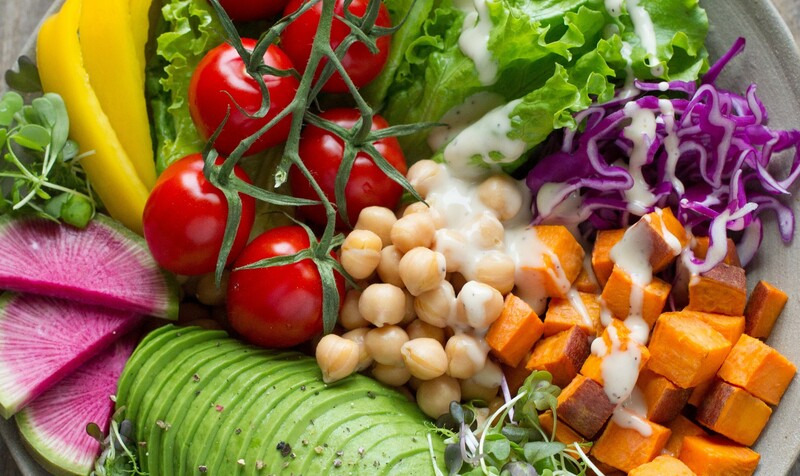 Previous research shows that vegetarian diets are better for good health, the environment and climate than meat-based diets, and vegan diets slightly better. But the Lancet report notes that such diets aren’t practical for everyone and that a significant shift away from meat, dairy, processed foods and sugars — combined with better agricultural and food-production practices and food waste reduction — is a practical way to ensure the world’s growing human population has access to nutritious diets while protecting Earth’s life-support systems. Food waste is a major issue. In Canada alone, 58 per cent of all food produced — 35.5 million tonnes a year — is lost or wasted, according to a report by Second Harvest, a Toronto agency that redistributes surplus food. That translates into a $49 billion annual cost and 56.6 million tonnes of carbon dioxide-equivalent emissions, the report, “The Avoidable Crisis of Food Waste,” finds. Addressing climate change and other environmental issues and improving global human health are possible and necessary. As the Lancet report states, “The data are both sufficient and strong enough to warrant immediate action.” We can all eat well, for our health and the planet’s.